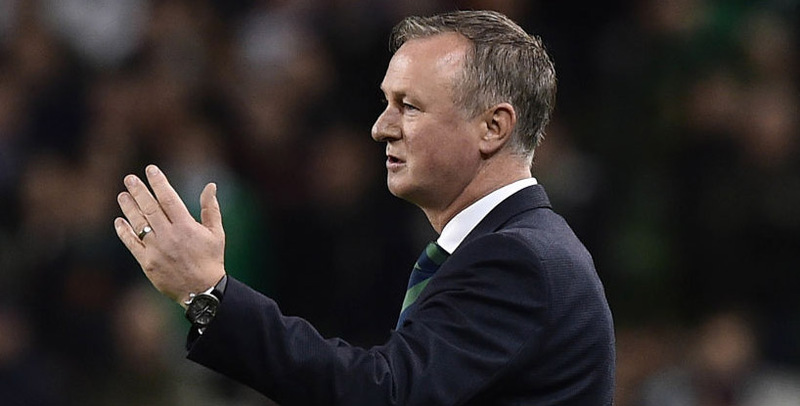 Northern Ireland are already condemned to Nations League relegation but can salvage some pride by drawing their closing match at home to Austria. The visitors prevailed 1-0 when these teams met in Vienna last month, but now have little to play for themselves after finishing second in the group. Everything points towards this being a low-key affair and 12/5 for a Belfast stalemate is our initial Northern Ireland vs Austria prediction. Northern Ireland have gone three games without scoring following Thursday’s 0-0 draw with Republic of Ireland, but it was an encouraging effort in Dublin. That result also gave us a trio of winning selections, including a 21/4 correct score pay-out. Michael O’Neill’s side dominated possession and had a string of chances, but couldn’t find a way past man of the match Darren Randolph in the Republic goal. Will Grigg went close to equalising when hitting the post late on in Vienna last month and they can hold their own at home on that evidence. Looking at the Northern Ireland vs Austria odds, we like 15/4 for the scores to be level at half-time and full-time. Austria were in fine form earlier this year, winning six of seven matches, including triumphs over Uruguay, Russia, Germany and Sweden – with the only defeat coming against Brazil. However, their progress has stalled of late, with the narrow success over Northern Ireland being their only victory in four matches. Away defeats in Bosnia and Herzegovina and Denmark did not impress us and Thursday’s goalless draw with Bosnia in Vienna was another uninspiring display. Marko Arnautovic and Julian Baumgartlinger had chances for Franco Foda’s team, but the visitors were good value for their point. Austria are a better side than Northern Ireland on paper, but Foda is also expected to shuffle his pack on this occasion and that could leave them disjointed. Let’s hope there are a couple of goals netted, though, with 6/1 for a 1-1 draw added to our Northern Ireland vs Austria betting tips.